The Junior Program is made up of six squads (novice men, novice women, varsity men and women, and middle school crews), that represent different ages and levels of experience. No experience required to join either the novice or middle school 1 crews. LGRC has a no-cut policy so everyone is welcome to come out and learn to row. LGRC competes in the Southwest region, one of the strongest areas in the nation for junior rowing. The competition is fierce, with many of the region’s clubs, including LGRC, boasting national champions. The sport of rowing has many benefits. It’s a great way to improve fitness, make lasting friendships and have fun. Once mastered, rowing and the values it instills will last throughout an athlete's life. We are committed to helping our juniors become not only great student-athletes, but also exceptional young men and women. 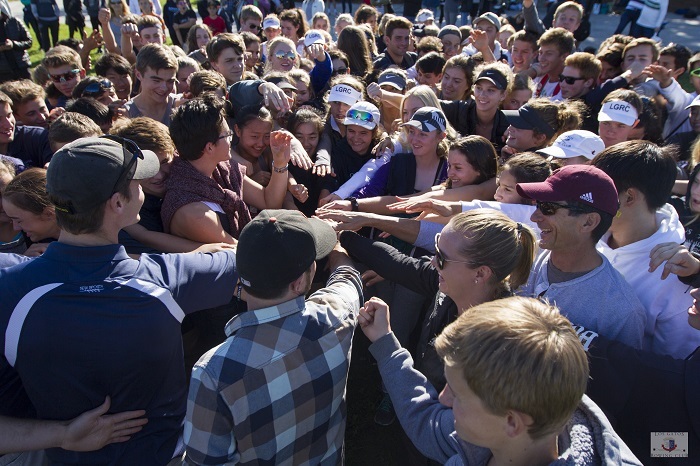 Our athletes are regularly recruited to row at colleges and universities across the country. The men's and women's high school novice squads consist of first-year athletes, ages 14-18, regardless of their year in high school. The high school varsity squads consist of athletes that have completed the novice year, regardless of their year in high school. The middle school program 2 (MSP2) is comprised of athletes in the 8th grade that have completed at least one semester of rowing at LGRC. Practices are 5 - 6 days a week. Rowing is a demanding sport but the rewards are great. Rowers are recognized as being disciplined, focused, supportive, and team-oriented individuals. Our middle school programs are designed to prepare younger athletes for high school sports and are comprised of first-time athletes in the 6th to 8th grade. These co-ed squads meet twice a week for 8-10 weeks and focus on building coordination and condition growing bodies, in addition to rowing technique. Although they do not compete outside of LGRC, the spirit of competition is maintained through drills and competitions both on and off the water. Due to resource constraints, both middle school programs are limited and filled on a first come, first served basis.